Here's a payne 102 hollow built just off the bench. 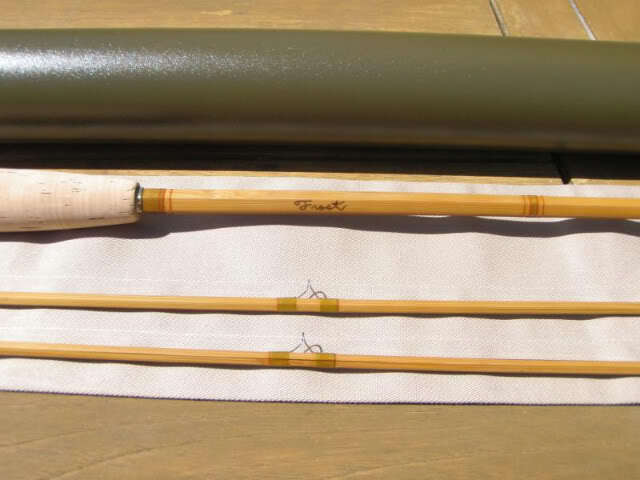 Wraps are Olive silk tipped with Chestnut. Real seat is curly maple. 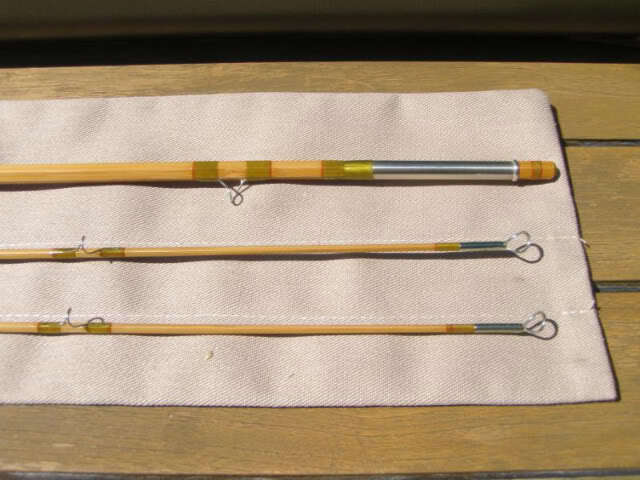 This Rod is developing quite a fan base. Wow! That's quite a work of art. 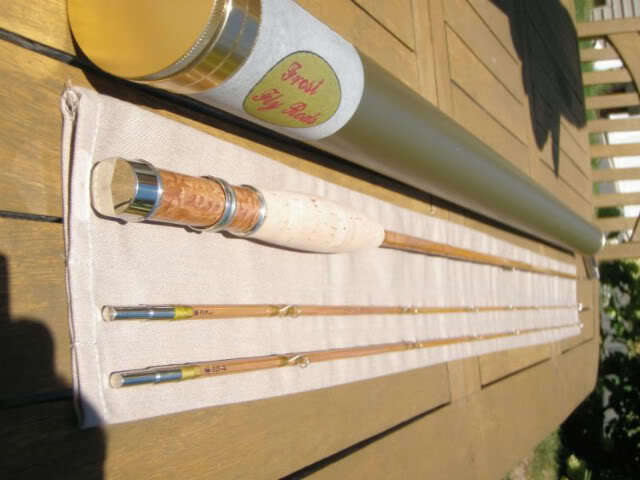 I don't know if i could bring myself to actually fish with such a beautiful rod. 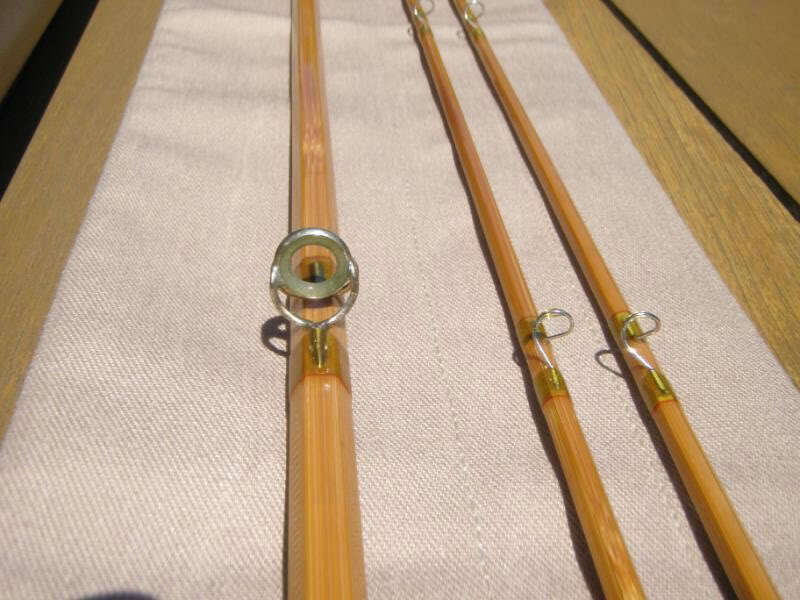 Life's short, fish bamboo? I can appreciate that. 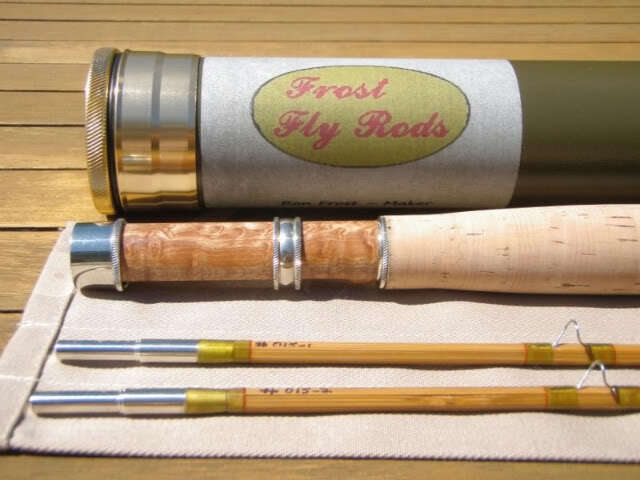 What a gorgeous rod !!! 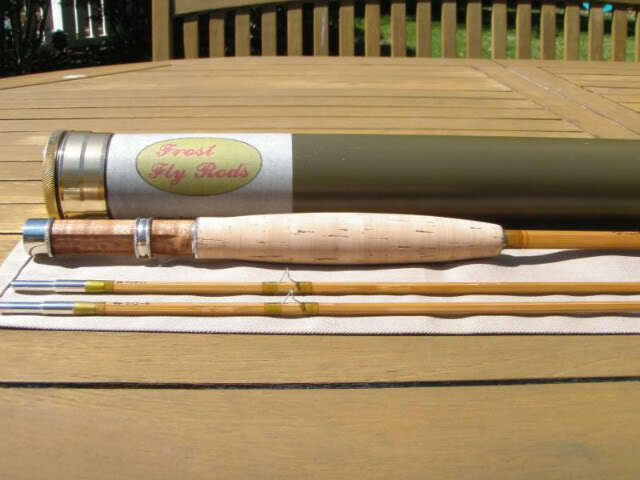 That rod is just incredibly beautiful..those soft colored wraps are all me...all i can say is wow..